Whether it is a premium spot or laundry credit, the perks of work camping can make or break a gig. Hourly compensation is important, but the details can leave your wallet gasping, needing an infusion of funds. These extras can come in handy not only for yourself but for your family and friends as well, encouraging them to visit and enjoy the area you have chosen to spend a few months or a few years at. Let’s discuss what’s available and how to negotiate for those extras. When discussing with the owner or manager about a potential work camping position, it is important to understand how you will be compensated. Once a salary or stipend, a subcontract or work-for-site has been successfully negotiated, it’s time to move on to the perks. These are extras that a camper would have to pay out of pocket for while at the campground. These extras may not even register on the bottom line of a campground to offer a work camper. Believe it or not, this is a perk! Work camping does not always include electric. When talking about the position, ask what the policy is on electric. It may be some compensation, or a stipend for an amount of electricity used, or it may be fully covered. Some campgrounds have “daisy chain” electric for multiple sites on a single utility meter, making it difficult to separate the bill. Other campgrounds offer a utility meter at each site, meaning an account would have to be opened in order to receive service. Imagine getting to the campground, meeting the folks and being shown to your campsite, only to discover there is no sewer hook up! It’s happened. A compensated site can come with a sewer hook up, or with a need to go to a dump station or have a “honey wagon” (Disclaimer, not actual honey!) dump at the site each week. 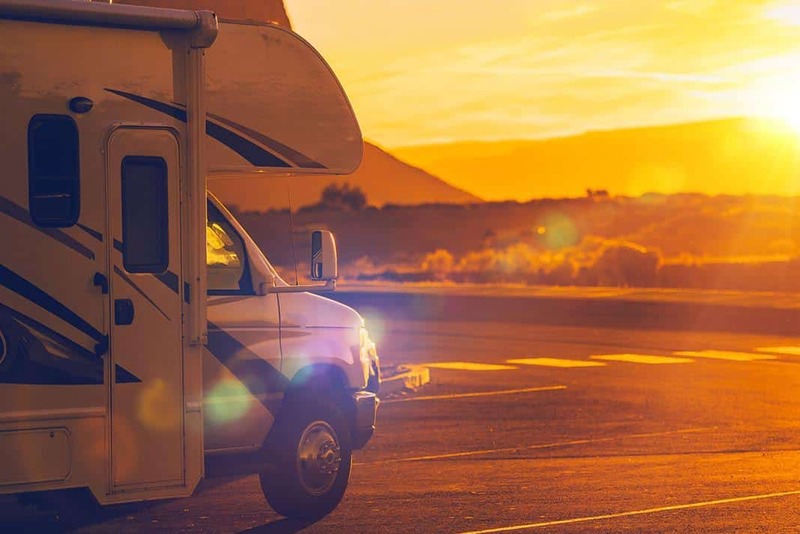 If the campground has no way to haul away your sewage, you may be stuck with a blue sewer caddy hauling your “business” to a dump station or worse – moving your RV each week to dump. There are some beautiful views in a campground. Majestic mountains, sprawling plains, deep blue lakes or amazing skylines. As a work camper, we would not be expecting those – mostly our views are the sewer hook ups of the RV next to us. However, a premium spot on the water or away from the hustle and bustle is possible. When considering work, look at a map of the campground and choose a few spots, then ask if those are available, even if for an additional fee. Be humble and you may get more than you originally thought possible. You would have to keep a pristine site in order to keep a premium spot, but it’s worth it! This is Part One of an extensive look at possible benefits for work campers beyond hourly compensation. Is there something we missed, or is there something you have personally used to get a better work camping package? Let us know in the comments below. I look forward to hearing from you and sharing in your successful work camping experiences. Sam Suva and his wife are work campers. They began work camping more than 10 years ago and have spent a lot of time working as they traveled. In this new weekly feature, they will share their experiences with you, with an emphasis on how to incorporate work camping into a full time RV lifestyle. Read more articles about Work Camping. Next articleRV Electricity – Just Ask Mike (J.A.M. ): Surge Protectors for 30- or 50-amp power? The Business of Work Camping: What happens if you’re let go? The Business of Work Camping – What tools to bring? Hello bo, yikes! I can relate to the long, sketchy county road leading to a primitive camping environment. I can imagine the first grocery run basket had plenty of sanitizer! Thank you for sharing, I look forward to more of your interesting experiences in the future. Thanks Gary, “13 summers” work camping, that’s excellent! It sounds like you are enjoying this life and making the best of it. Investigate a job opening is very good advice, I wrote about that here https://www.rvtravel.com/the-business-of-work-camping-shell-for-rvt-880/. Making sure we understand the work required and if our expectations will be satisfied makes for an enjoyable experience.